Kent Heckaman, piano (Performer); Lara Turner, cello (Performer). 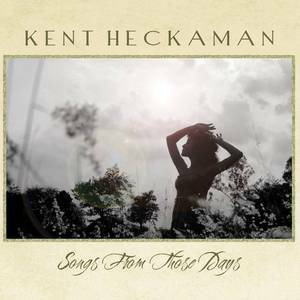 Kent Heckaman Productions (Record Label); Kent Heckaman (Artist). Kate Myers, lead vocal & acoustic guitar (Performer); Kent Heckaman, piano, keyboards & percussion (Performer); Kevin Heckaman, bass (Performer); Laura Macowan, backing vocals (Performer). Ernie Adams, drums & percussion (Performer); Heather Horton, lead vocal & violin (Performer); Kent Heckaman, piano & keyboards (Performer); Neal Alger, acoustic guitar (Performer); Patrick Williams, acoustic bass (Performer). Aaron Detweiler, drums & percussion (Performer); Kate Myers, lead vocal (Performer); Kent Heckaman, piano keyboards (Performer); Michael Lewis, bass (Performer). Brad Harner, drums & percussion (Performer); Kent Heckaman, keyboards (Performer); Kevin Heckaman, bass (Performer); Lindsay Bloom, lead vocal (Performer); Tygus Darr, acoustic guitar (Performer). Ernie Admas, drums & percussion (Performer); Kate Myers, vocalist (Performer); Kent Heckaman, piano & keyboards (Performer); Lara Turner, cello (Performer); Leah Bateman, cello (Performer); Neal Alger, guitars (Performer); Patrick Williams, bass (Performer); Ryan Edgington, violin & viola (Performer). Ernie Adams, drums & percussion (Performer); Heather Horton, backing vocals and violin (Performer); Karin Bergquist, lead vocal (Performer); Kent Heckaman, piano & keyboards (Performer); Kirby Shelstad, drums & percussion (Performer); Neal Alger, guitars (Performer); Patrick Williams, bass (Performer); Tony Gerber, guitars (Performer). Brad Harner, drums & percussion (Performer); Kate Myers, lead vocal (Performer); Kent Heckaman, keyboards (Performer); Leah Bateman, cello (Performer); Linda Hicks, backing vocal (Performer); Michael Lewsi, backing vocal & bass (Performer); Ryan Edgington, viola (Performer).